Marketplace support—Marketplace is a new online destination that lets users purchase presets and impulse responses created by select third-party content gurus. From the lower left-hand corner of HX Edit, click "My Account" and then choose "Get More Presets..." or "Get More IRs..."
Marketplace support—Marketplace is a new online destination that lets users purchase presets and impulse responses created by select third-party content gurus. From the lower left-hand corner Helix Native, click "My Account" and then choose "Get More Presets..." or "Get More IRs..."
* All product names are trademarks of their respective owners, which are in no way associated or affiliated with Line 6. HX Edit 2.52 is a software update that includes fixes, stability improvements, and optimizations. It is highly recommended that all Helix users perform this update! - Full State Backup and Restore FOR HX Effects - HX Edit can perform a full state backup and restore of your HX Effects presets, IRs, and global settings. IMPORTANT! You MUST be running HX Effects firmware 2.50 or higher to use full state backup and restore! Helix v2.21.0 is a software update that includes fixes, stability improvements, and optimizations. It is highly recommended that all Helix users perform this update! IMPORTANT! IF YOU’VE ALREADY INSTALLED HELIX FIRMWARE 2.21 and HELIX EDIT 2.20, ALL YOU HAVE TO DO IS INSTALL HELIX EDIT 2.21. IF YOU HAVE NOT INSTALLED HELIX FIRMWARE 2.21 and HELIX EDIT 2.20, YOU *MUST* FOLLOW THESE INSTRUCTIONS! 1. Shut down all Line 6 software as well as any software that streams audio, including, but not limited to: iTunes, Spotify, DAWs, browsers, etc. 2. Use your CURRENT EXISTING Helix application to back up all of your presets and IRs (if you want to keep them). For example, if you’re running Helix FW 1.12, your current Helix application version should be 1.12. NOTE: You may want to back up individual Setlists so you can restore them to empty setlists without affecting the new 2.20 factory presets. 3. Quit the CURRENT EXISTING Helix editor application and download and install the LATEST Helix editor application (2.21), available here: http://line6.com/software/ This also installs the newest version of Line 6 Updater (1.11). 4. If you’re using Helix Rack with Helix Control, turn off Helix Control. 5. Using the latest Line 6 Updater (1.11), update Helix/Helix Rack to the newest firmware (2.21). At the end of the update process, Helix/Helix Rack will reboot automatically and begin rebuilding presets. Wait for this process to complete. 6. If you’re using Helix Control with Helix Rack, connect and power on Helix Control. The inspector will ask if you want to update its firmware. Press Knob 6 (OK). Wait for the update to finish. 7. To reset globals and restore presets, turn off Helix/Helix Rack. HELIX FLOOR/LT ONLY: While holding footswitches 9 and 10 (middle two switches on the bottom row), turn on Helix. Wait for the message “Will reset Globals and restore stock Presets, Setlists and IRs…” to appear and let go. HELIX RACK ONLY: While holding knobs 5 and 6 below the screen, turn on Helix Rack. Wait for the message “Will reset Globals and restore stock Presets, Setlists and IRs…” to appear and let go. 8. Using the NEW Helix editor application (2.21), restore the user presets you backed up in step 2. Helix v2.20.0 is a firmware update that includes new amps, cabs, effects, features, fixes, stability improvements, and optimizations. It is highly recommended that all Helix users perform this update! IMPORTANT! YOU *MUST* FOLLOW THESE INSTRUCTIONS TO INSTALL 2.20! 3. Quit the CURRENT EXISTING Helix editor application and download and install the LATEST Helix editor application (2.20), available here: http://line6.com/software/ This also installs the newest version of Line 6 Updater (1.11). 5. Using the latest Line 6 Updater (1.11), update Helix/Helix Rack to the newest firmware (2.20). At the end of the update process, Helix/Helix Rack will reboot automatically and begin rebuilding presets. Wait for this process to complete. HELIX FLOOR ONLY: While holding footswitches 9 and 10 (middle two switches on the bottom row), turn on Helix. Wait for the message “Will reset Globals and restore stock Presets, Setlists and IRs…” to appear and let go. 8. Using the NEW Helix editor application (2.20), restore the user presets you backed up in step 2. Helix v2.11.0 is a software update that includes fixes, stability improvements, and optimizations. It is highly recommended that all Helix users perform this update! IMPORTANT! YOU *MUST* FOLLOW THESE INSTRUCTIONS TO INSTALL 2.11! NOTE: You may want to back up individual Setlists so you can restore them to empty setlists without affecting the 2.11 factory presets. 3. Quit the CURRENT EXISTING Helix editor application and download and install the NEW Helix editor application (2.11), available here: http://line6.com/software/ This also installs the newest version of Line 6 Updater (1.10). 5. Using the latest Line 6 Updater (1.10), update Helix/Helix Rack to the newest firmware (2.11). At the end of the update process, Helix/Helix Rack will reboot automatically and begin rebuilding presets. Wait for this process to complete. restore stock Presets, Setlists and IRs…” to appear and let go. 8. Using the NEW Helix editor application (2.11), restore the user presets you backed up in step 2. Helix v2.10.0 is a software update that includes new features, fixes, stability improvements, and optimizations. It is highly recommended that all Helix users perform this update! IMPORTANT! YOU *MUST* FOLLOW THESE INSTRUCTIONS TO INSTALL 2.10! NOTE: You may want to back up individual Setlists so you can restore them to empty setlists without affecting the new 2.10 factory presets. 3. Quit the CURRENT EXISTING Helix editor application and download and install the NEW Helix editor application (2.10), available here: http://line6.com/software/ This also installs the newest version of Line 6 Updater (1.10). 5. Using the latest Line 6 Updater (1.10), update Helix/Helix Rack to the newest firmware (2.10). At the end of the update process, Helix/Helix Rack will reboot automatically and begin rebuilding presets. Wait for this process to complete. on Helix. Wait for the message “Will reset Globals and restore stock Presets, Setlists and IRs…” to appear and let go. 8. Using the NEW Helix editor application (2.10), restore the user presets you backed up in step 2. - Auto Enable/Bypass blocks from EXP 1/2/3 and Variax Volume/Tone Knobs—Processing blocks (such as Wah, Pitch Wham, etc.) can now be enabled/bypassed by simply moving EXP 1, EXP 2, EXP 3, or Variax’s Volume or Tone knob. Click the Bypass Assign tab. From the source pulldown menu (normally reads “None”), select the desired switch. When selecting a continuous controller as a switch, Position and Wait sliders appear. - Bypass Assign > Position—Position determines the location in the Exp Pedal or Variax knob’s travel where the block is engaged. For example, if set to 1%, the block will turn off as soon as the pedal is moved to the heel position. If set to 99%, the block will only turn on when the pedal is moved to the toe position. To swap the on/off state regardless of position, click the small bypass icon above the selected block. - Bypass Assign > Wait—Wait determines how long it takes after the Exp Pedal or Variax Knob is moved below the Position location before the block turns off. For example, you may not want the Wah to turn off instantly every time you hit the heel position during your big funk solo. Also, does your song really need a big funk solo? - Block Bypass via MIDI—Individual processing blocks can now be enabled/bypassed via incoming MIDI CC messages. Click the Bypass Assign tab. Move the MIDI In slider to choose the desired MIDI CC. Incoming CC values 0-63 will turn the block off; values 64-127 will turn the block on. Note that some MIDI CCs are reserved for global functions and cannot be selected. - Split > Y Balance parameters—The old Split > Y block sends both left and right signals to Paths A and B equally. 2.10 adds individual balance (pan) control of the signals sent to Path A and B.
Helix v2.01.0 is a software update that includes fixes, stability improvements, and optimizations. It is highly recommended that all Helix users perform this update! IMPORTANT! YOU *MUST* FOLLOW THESE INSTRUCTIONS TO INSTALL 2.01! 1. Shut down all Line 6 software as well as any software that streams audio, including, but not limited to: iTunes, Spotify, DAWs, etc. 2. Use your CURRENT EXISTING Helix application to back up all of your presets and IRs (if you want to keep them). If you’re running Helix FW 1.12, your current Helix application version should be 1.12. NOTE: You may want to back up individual Setlists so you can restore them to empty setlists without affecting the new 2.01 factory presets. 3. Quit the CURRENT EXISTING Helix editor application and download and install the NEW Helix editor application (2.01), available here: http://line6.com/software/ This also installs the newest version of Line 6 Updater (1.09). 5. Using the latest Line 6 Updater (1.09), update Helix/Helix Rack to the newest firmware (2.01). At the end of the update process, Helix/Helix Rack will reboot automatically and begin rebuilding presets. Wait for this process to complete. 8. Using the NEW Helix editor application (2.01), restore the user presets you backed up in step 2. 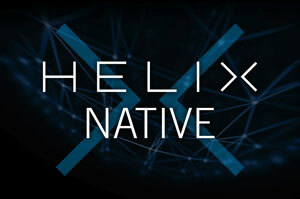 Helix v2.00 is an update that includes new models, features, fixes, stability improvements, and optimizations. It is highly recommended that all Helix users perform this update! IMPORTANT! READ BEFORE INSTALLING 2.00! NOTE: You may want to back up individual Setlists so you can restore them to empty setlists without affecting the new 2.0 factory presets. 3. Quit the CURRENT EXISTING Helix editor application and download and install the NEW Helix editor application (2.00), available here:http://line6.com/software/ This also installs the newest version of Line 6 Updater (1.09). 5. Using the latest Line 6 Updater (1.09), update Helix/Helix Rack to the newest firmware (2.00). At the end of the update process, Helix/Helix Rack will reboot automatically and begin rebuilding presets. Wait for this process to complete. 6. If you’re using Helix Control with Helix Rack, connect and power on Helix Control. The inspector will ask if you want to update its firmware. Press Knob 6 (OK). 7. Turn off Helix/Helix Rack. HELIX FLOOR: While holding footswitches 9 and 10 (middle two switches on the bottom row), turn on Helix. HELIX RACK: While holding knobs 5 and 6 below the screen, turn on Helix Rack. Wait for the message “Will reset Globals and restore stock Presets, Setlists and IRs…” to appear and let go. 8. Using the NEW Helix editor application (2.00), restore the user presets you backed up in step 2. Helix Editor 1.12 is a free update that includes new fixes, stability improvements, and optimizations. IMPORTANT! READ BEFORE INSTALLING ANY NEW SOFTWARE! 1. Install the 1.12 Editor update, available at http://line6.com/software/. Check the “Beta” box. 2. Use your CURRENT EXISTING Helix application to back up all of your presets and IRs. If you’re running Helix FW 1.06 or 1.06.5, your current Helix application version should be 1.04. If you’re running Helix FW 1.10, your current Helix application version should be 1.11. 3. Quit the CURRENT EXISTING Helix application and download and install the NEW Helix editor (1.12), available here: http://line6.com/software/ This also installs the newest version of Line 6 Updater (1.09). 5. Using the new Line 6 Updater (1.09), update Helix (or Helix Rack) to the newest firmware (1.12.0). If you’re using Helix Rack with Helix Control, after Helix Rack has been updated, connect and power on Helix Control, and it will update automatically. 6. Using the latest Helix editor (1.12), restore all user presets and IRs. Helix Application 1.04 is a free software update that includes new features, fixes, stability improvements, and optimizations. It is highly recommended that all Helix users perform this update! IMPORTANT! Before restoring your backed up presets to Helix, you must first install the latest 1.04 version of the Helix application! Helix Application 1.03 is a free software update that includes new features, fixes, stability improvements, and optimizations. It is highly recommended that all Helix users perform this update! IMPORTANT! Before restoring your backed up presets to Helix, you must first install the latest 1.03 version of the Helix application! Helix Application 1.02 is a free software update that includes new features, fixes, stability improvements, and optimizations. It is highly recommended that all Helix users perform this update! IMPORTANT! Before restoring your backed up presets to Helix, you must first install the latest 1.02 version of the Helix application! Helix Application 1.01 is a free software update that includes new features, fixes, stability improvements, and optimizations. It is highly recommended that all Helix users perform this update! IMPORTANT! Before restoring your backed up presets to Helix, you must first install the latest 1.01 version of the Helixapplication! This is the Helix application. 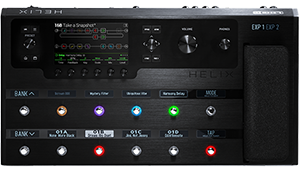 It's used to organize and backup your presets and setlists, and load third-party IRs (Impulse Responses) onto Helix. This is the Helix application. It’s used to organize and backup your presets and setlists, and load third-party IRs (Impulse Responses) onto Helix. The required Helix Driver is included in this app installer. New features, bug fixes, and workflow improvements. 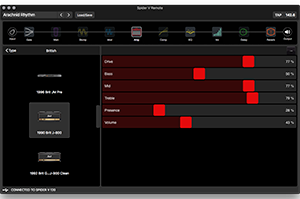 Spider® V Remote is a free tone-editing software application for macOS® & Windows® to edit Spider V amp and effects on the computer. Keep your Line 6 gear up-to-date with the latest updates. Authorize and manage your purchased Line 6 Licenses.